Dancers of all ages, styles, and abilities rely on me, Dr. John T. Cece, a Sports Chiropractor, to help them reach and maintain peak performance. Dancers are among the hardest, most disciplined of athletes, but despite the beauty, grace and elegance they display, their bodies withstand a great deal of impact. In fact, dancers are at the same risk as football players for injuries! My patient Will is a 13-year-old ballet dancer who presented with upper hamstring and inner thigh pain resulting in his inability to finish his jumps. Another patient, Ashling is an 18 year-old International Irish Dance Champion with lower back spasm and a painful, “snapping” hip tendon. 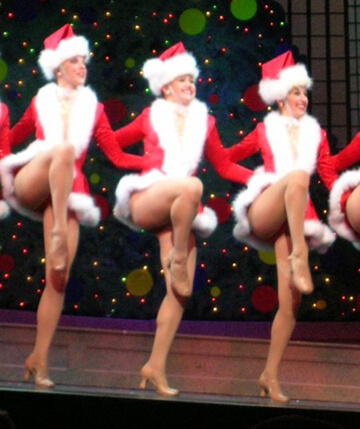 Nancy is a 24 year-old patient and a Rockette with acute neck spasms and a “balky” ankle. What these three patients have in common is that they collectively represent a group of dancers experiencing a great many of “The Top Ten” most common dance injuries. Evaluating and treating such injuries through chiropractic care promotes healing and ultimately a commitment to continuing to perform. Dancers are their own “breed” of athlete. They are a particularly driven group. They work hard and are expected to dance through their pain. While this ethic is heroic, it is also unenlightened as there is both a short- term and a long-term price to be paid. It can, and will, eventually lead to greater injury, disability, and a shortened career. Most of this “breed” began dancing by the age of 5 or 6, and the repetitive practice of movements that require extreme flexibility, strength, and endurance make them prime candidates for injury. Time and time again, dancers will hear their instructors imploring, in fact, demanding, them to “keep their knees over their toes,” “lift their arches” “point their toes,” “turnout from their hips.” These commands for correct technique all relate to proper alignment of the spine, hip and leg. The better their alignment is, the better and healthier their results when performing. As the ability to maintain alignment is critical, it follows that if a dancer suffers from altered biomechanics that change or prevent this, then that dancer would be at greater risk for physical injury. Therefore, any treatment that aids in solving biomechanical problems of the pelvis, hips and legs aids the dancer in pain prevention and better, uninterrupted performance. What enhances performance prevents injury and contributes toward endurance. Here enters my work in “chiropractic dance medicine.” This incorporates not only the science and art of preventing and alleviating injuries to the dancer, but, moreover, investigating the cause of the dance injury. Once in my office, in addition to addressing any miss-alignment or a loss of function within the spine, I examine the gluteal and hip muscles, the function of the knee and the articulations of the foot. Then, I add a balancing technique of the pelvis called the “Cece Triple Pelvic Technique.” This unique treatment separates and analyzes the three areas of the pelvis; the sacrum, the ilium and the hip joint, and identifies which areas need treatment, re-integrating all three for a balanced, well-functioning dancer’s pelvis, hip, and leg. For solid dance moves, dancers need to consider maintaining a pro-active approach toward wellness. The marriage of chiropractic and dance provides a healthy choice for pain free fluidity designed to maximize a dancer’s advantage. Contact my office for a custom evaluation developed to meet your individual dancing needs. 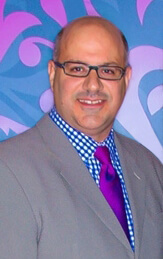 Dr. John T. Cece is a sports chiropractor in Waldwick, NJ. A Division 1 collegiate athlete himself, he is Board Certified in Chiropractic Rehabilitation. He is trusted by world class athletes like Steffi Graf, professional football players, Rockettes, Dance Champions, Broadway dancers, and athletes at all levels of competition. 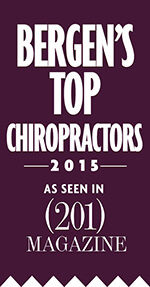 His leading edge practice that harmoniously integrates traditional chiropractic techniques with the latest advances in soft tissue orthopedics makes a difference. Experience the difference! His website is www.DrCece.com and his telephone # is 201-445-9739.